“I'm working as a leather Artist on the Swedish countryside where my daughters are also engaged in the artistic work. Since graduation from Art and craft studies I have developed a new, innovative and eco-friendly technique of embossing patterns on leather, by using organic plants and flowers”. 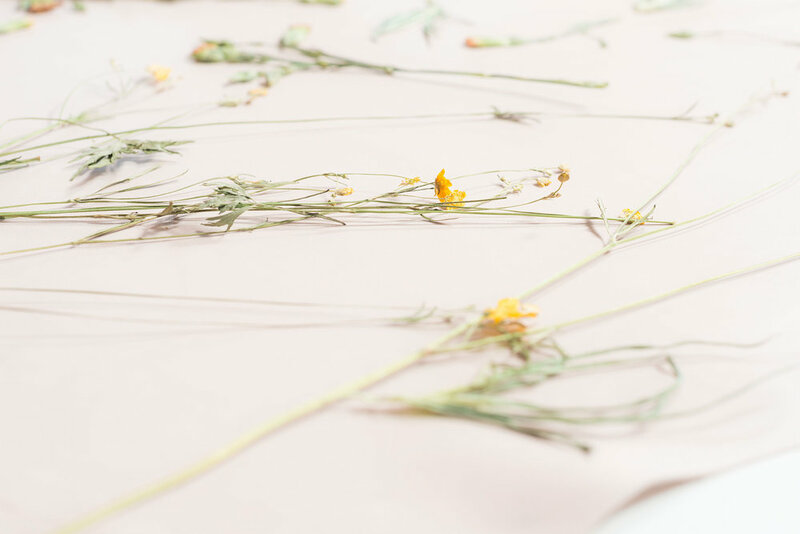 Our interest in flowers, art and craft has led to a specific expertise in the creation of botanical leather patterns, using hand-picked, organic plants and flowers. Each leather pattern is unique, just like every pressed flower and herbarium. We have sourced for flowers in the surrounding countryside over the years and have to remember, where, at what time, It is best to hand-pick each particular kind. Back in the atelier, we have to sort, classify and organise the gathered flowers and plants.